While it can sometimes be difficult to look at the positive aspects of a hard situation, such as chemo hair loss, a positive outlook can make help make things better help you live longer! Everyone deals with chemotherapy in different ways, and being open and positive about it with the people that you love is a great way to accept what is going on in your life, and can even help you to overcome the disease! 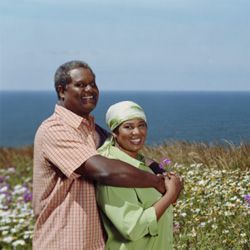 The American Cancer Society says that having a positive attitude towards having cancer and towards your chemotherapy treatment can have a lot to do with the way that your disease is handled. They are very clear that although your attitude won't change the diagnosis, it can be a great coping mechanism. You will have both good days and bad days, but the way that you handle them will help you to live your life to the fullest. So, this is where we step in and help you see the positive side of chemotherapy hair loss. After all, let’s be honest, we have all spent years dealing with, often in frustration, our curly locks. So what do you do when they're gone? Rejoice in the silver lining, of course! More money in your pockets to do what you really want! Looking back, how much money have you spent on all different types of hair products? Keeping up with and maintaining different curly hair styles takes an awful lot of money out of our pay checks every week, no matter if we are using high end products or not. At the end of the day, it all adds up! Having the extra money that would be otherwise spent on hair products in your pocket will allow you to put it towards doing the things in life that you have always dreamed of doing! Fiction writing class? Horseback riding lessons? Finishing up that degree? Go for it! Take the opportunity to experiment with creative hairstyles. Sometimes we get stuck in a rut with our hairstyle, or are just too afraid to make any dramatic changes because, “it might look bad.” Now, you have the opportunity to get creative, step outside the box and experiment with different hair accessories that will help hide your thinning hair, or celebrate it! Try a bold new cut, or splurge on those accessories you never thought you could pull off. This is a new phase of your life, embrace it and enjoy it as much as any other. No more dealing with dangerous chemicals! Let’s be honest here, as women we are pretty much willing to put anything and everything in our hair to make it look good, despite any surgeon general or FDA warnings. Chemo hair loss will give you the opportunity to live a more natural lifestyle without adding extra chemicals that are unnecessary to our hair and scalps. Think of it more as an optional big chop and embrace the natural hair lifestyle, hair or not. More time to focus on the important things. How much time are you typically spending every day on your hair? What does this number then add up to in a week, a month, a year? Once we objectively look back at our lifestyles, as chemotherapy allows you to do, you will see that all the time spent on your hair could be put towards numerous other activities like spending time with family and friends, the real positivity is all of our lives. Who's that lady? Losing hair will give you the opportunity to reinvent yourself — through wigs! Why not try out a color or style that you would have never otherwise tried out? Wigs are highly versatile and allow you to be anyone that you want, but most importantly allow you to be yourself if you choose. Nowadays, wigs are just as capable of withstanding heat styling as your own hair — except that when they get damaged, you can just take them off! One less thing to worry about! As women, we spend an awful lot of time worrying about things. Did the phone bill get paid? What am I going to cook for dinner? What will my boss think of the presentation? Not having to worry about what you are going to do with your hair each morning as your start your day is simply one less thing to stress over, especially at this particularly stressful point in time. Take chemo hair loss as an opportunity to appreciate not having to fuss with long strands, and rejoice in the ease that comes with scarves and shorter tresses. Networking opportunities galore! There are many different websites and support groups that are targeted towards women dealing with chemotherapy hair loss. This will give you the opportunity to network and meet new people who are dealing with similar circumstances and can help you cope through your struggles. And, you never know, one of those contacts may just add fuel to your career after the breast cancer is put to rest! Look beautiful and give back to breast cancer research and awareness with these curly hair products! 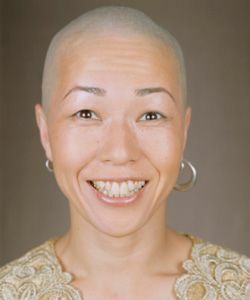 Positivity is key to facing the disease, chemotherapy and hair loss with ease, minimal stress and overall happiness. What tips and tricks can you share that help you to look past negative situations and see the positive?